There is a rather wide distinction between the way the Jews would define and describe God versus the way we as “Westerners” would define Him. For example, if we (as Westerners) were to teach a class on God’s character we would define God like Wayne Grudem does as “God eternally exists as three persons, Father, Son, and Holy Spirit, and each person is fully God, and there is one God.” To be honest, as amazing and true as this is it can be hard to understand such a technical definition. The Jews on the other hand would have a tendency in antiquity to define God in pictures and story. Instead of our technical definition referred to before the Jews would define God in a different way. For example, Proverbs 18:10 says, “The name of the LORD is a strong tower; the righteous man runs into it and is safe.” The definition of God from this verse is that God is a strong tower. He is a safe place to run. Another example of that is that of Hebrews 12:20 which says God is a “consuming fire”. These are two rather different pictures of God. What a vivid picture of the coming Messiah we have in Isaiah 11:10. It says, “In that day the root of Jesse, who shall stand as a signal for the peoples- of him shall the nations inquire, and his resting place shall be glorious.” This passage says that Jesus (the root of Jesse) will stand as a signal for the peoples. Jesus is the radiant light blinking for all the world to see. I picture this definition as a boat searching for land in the midst of a violent storm. In the distance when all hope is lost somebody cries out that they see a “blinking light”. As this boat approaches the hope grows as they know in the distance a lighthouse is growing larger and larger. Salvation has come. Isaiah 11:10 says that the nations will inquire as to what this light is. As the nations grow closer to this light (Jesus) they are told they will find rest in his glorious resting place. What is this verse telling us about God? Jesus is drawing people to himself. The beauty of the gospel is that left to ourselves we can do nothing to earn favor in God’s eyes. In fact, we wouldn’t even desire God without his drawing. Jesus is drawing the NATIONS to himself. God is passionate about spreading his glory among the nations, countries and races of the world. This is why racism is such a gross and ungodly sin. Jesus is the sole place to find rest. As the world crumbles before our eyes we know that the only hope for rest and peace is Jesus himself. No politician, job, family or anything in this world will give you the hope that Jesus can offer. His resting place is glorious. Run to his light today. Run to his resting place today. You will find heavenly, glorious rest in Jesus. 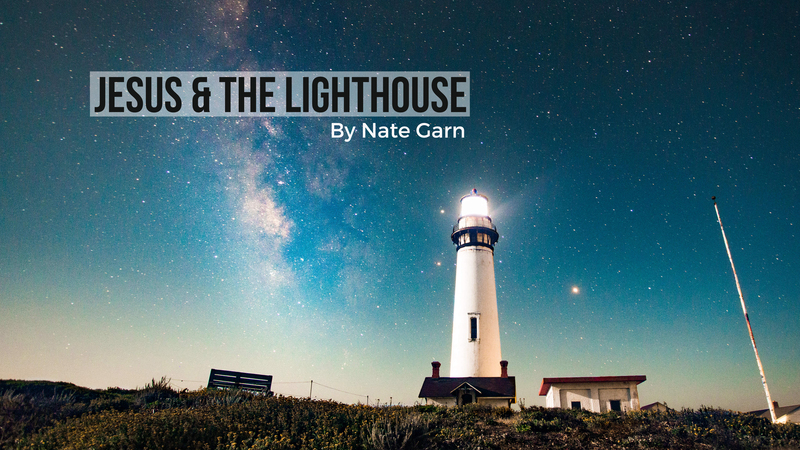 Article by Pastor Nate Garn.